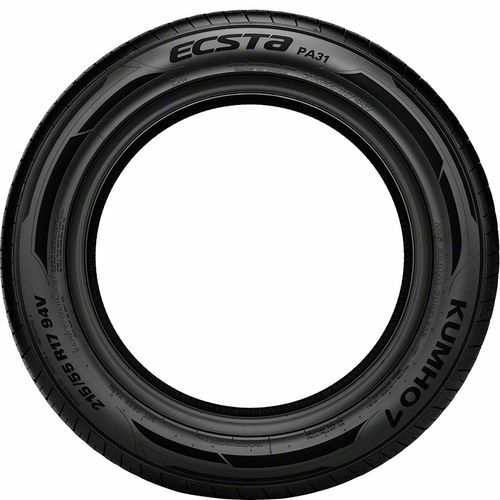 The Kumho Ecsta PA31 is a high performance all-season tire specially developed for drivers looking for everyday performance, longer treadwear, and ride comfort. Ideal for mid-level sports cars, high performance sedans, and sporty coupes, the Kumho Ecsta PA31 gets you where you need to without hassles. It features an advanced technology and balanced tread compound molded into a directional tread design to deliver superior performance during all weather conditions. 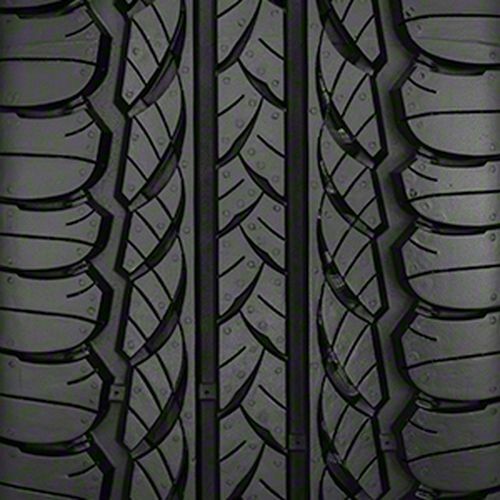 The directional tread pattern consists four circumferential and multiple cross grooves which evacuate water efficiently and improve hydroplaning resistance. Not only that but it also promotes an even wear, improves steering and cornering stability. To enhance this even more are the high sipe density and tread block edges which enhance handling in wet and winter weather. It is backed by a 50,000-mile treadwear warranty. 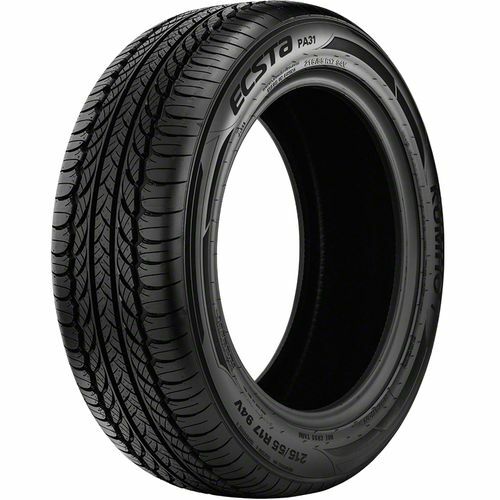 205/50R-15 N/A 1,168 lbs N/A N/A N/A N/A N/A 23"
Purchase includes the Kumho Ecsta PA31 tire only. The wheel rim shown in the picture is not included. Picture provided is a stock picture from the manufacturer and may or may not reflect the actual product being ordered. All Kumho Ecsta PA31 tires are continuously developing with manufactured improvements. With that said, Simple Tire and the manufacturers have the right to change these tire specifications at any time without notice or obligation. 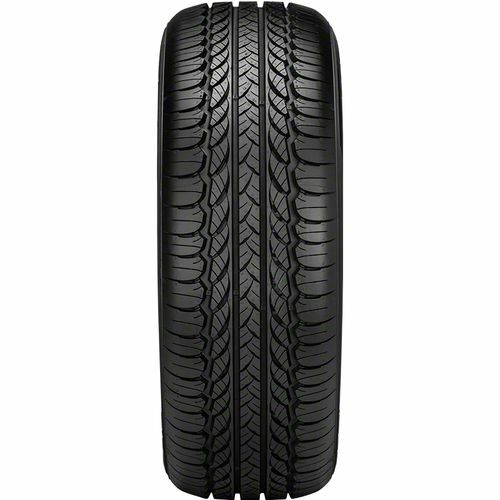 Please Note: Specifications of the Kumho Ecsta PA31 tires shown above are listed to be as accurate as possible based on the information provided to us by Kumho tires. The Kumho PA31 replaced some Toyo Extensa HP tires on a Corolla FX16 GT-S set-up for autocross. These are strickly street tires as I run 200 treadwear tires when racing. The Kumho's are WAY better than the Toyo's. The Kumho's stick much better, the Toyo's were always a little greasy at turn-in. The Kumho's seem stiffer with the same air pressure. They inspire more confidence is turns. Ride quality for both is similar. The Kumho's are also better in the wet too! The Toyo's were made in Malaysia. The Kumho's in Vietnam. Both sets were purchased from SimpleTire along with tires for other cars. Always have top notch service from SimpleTire. No problem so far. Very affordable price and runs with absolutely no issue 1 year long. I definately will consider to buy next tire with this Kumho brand as well. By submitting a review, each person received a sweepstakes entry.